Search Results for "canadian flag"
Painting Flag of Canada on old wood boards With four different ways. Animation of wooden grunge Canadian flag loop. Abstract flag background for your text or logo. drawing Canada flag full hd and 4k. Painting Flag of Canada white paper with four different ways. Drawing Canada flag on grunge paper loop. Canadian flag Graffiti on white wall. Animation of Canada flag full hd and 4k. Zooming in on text Canada colored by national Canadian flag. Text rotates at the end and is zoomed in until complete flag is shown. Alpha channel included in higher resolutions. Canada waving flag. 3d Man holding and waving Canadian flag on transparent background. Loop. Alpha channel. Canadian flag edited in artistic cartoon animation. Canadian flag animation in a cartoon art style. 4K - Canadian flag in the wind. Part of a series. Energetic 3d rendering of a festive Canadian flag with a maple leaf in the center of it wavering actively in the black background. It looks optimistic, impressive and patriotic. 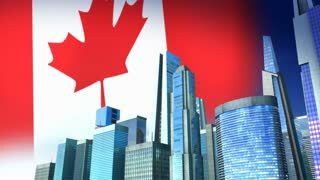 Wonderful slow motion 3d rendering of a large Canadian flag with a maple leaf in the center of it fluttering in slow motion in the black background. It looks patriotic, impressive and festive..
Beautiful animation of knitted Canadian flag moving in the wind. Seamless loop background. Canadian Flag material folds its way left to right and then right to left until it fills the screen. Comes with the Alpha Matte. Cardboard box opens to reveal Canadian flag on a heart, bouncing out in the style of a Jack in the Box. 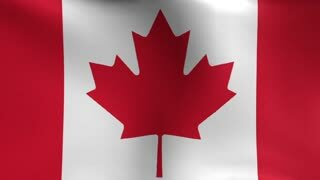 Canadian Flag animated on a fabric type cloth curls in the classic "Page curl" manner. Comes with the Alpha Matte.